My Fingers were numb by the time I had gathered fresh mint and Nettles for a tea, rhubarb and Cut a head of Dandelion and a small bunch of green onions, and the wet was working its way past my collar and dripping down my neck despite the hat. SO! Worth it! 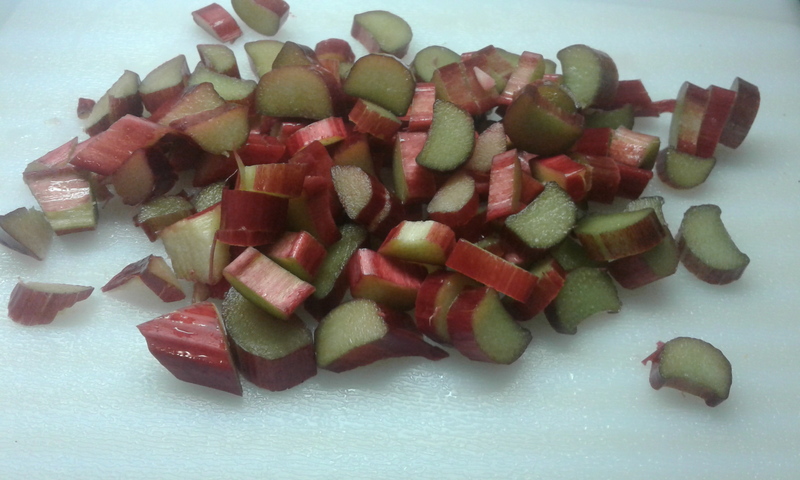 2 cups of Fresh Spring Ontario Rhubarb was coarsely diced up. This is a smaller cake, it made a thinner cake in a 9 by 12 cake pan and would have made a thicker one in a square 8 by 8.. Baked at 350 for 40 min, till knife came out clean. This entry was posted in Baking, Garden and tagged Growing Rhubarb on the homestead, One of the first foods from the garden Rhubarb, Rhubarb beyond the pie, Rhubarb Cake Recipe, Rhubarb Cake with Ginger, Spring Rhubarb Recipe. Bookmark the permalink. J & D > Oh my (or is that oh us!?). Life would be mean without Rhubarb. We’ve had a cold spring and we’ve had very little rhubarb so far this year, but now we’re warming up (daytimes are up to 20degC), it’s going to be rhubarb and cream very soon! 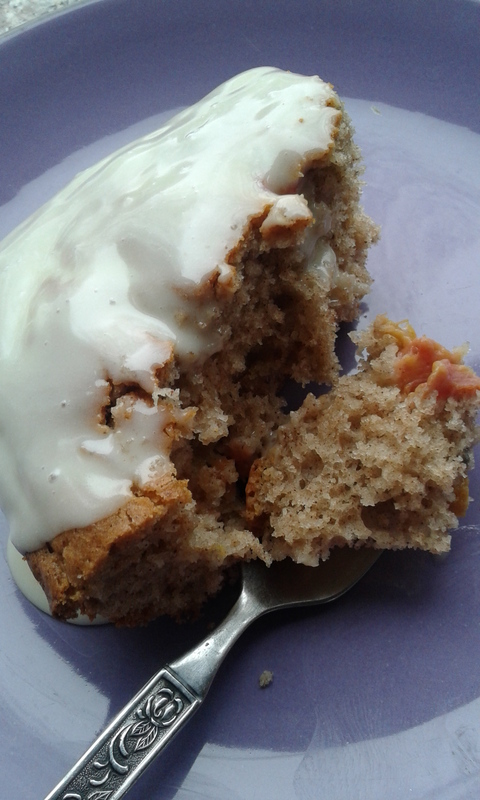 Rhubarb cake is certainly a novel idea for us. Neither of us have a ‘sweet tooth’, so we’d skip the butter icing. That your nettles are pickable is interesting, when you say that your fingers were numb from picking: despite it being warmer, there’s still very little of nettles to be found – and the same is true for our cultivated mints. Interesting differences! Hubby loves this rhubarb cake plain with bitter orange marmalade as the icing on it.. I like you can’t imagine life without Rhubarb, its without a doubt a huge filler for the canning world and the first “fruit” (I know its a veg really) for the spring season. You guys don’t make rhubarb cake? We use rhubarb in so many ways, I will do a collection post just for you of some of the different ways we use rhubarb in recipes. What is your favorite recipe? O the fingers were not numb from the nettles, it was from the cold rain.. I am bringing in about 12 to 16 cups worth of nettles daily enough to fill the dryer each day, it takes a lot of dried to fill my standard 3 quart jars that I like to make for dried herb and tea for winter, the rest of the time I just go for fresh out of the gardens. My mints are coming up but are still quite tiny yet.. I put together a post that was inspired by your comment about the rhubarb cake.. hope you will enjoy seeing some of the different ways I have used rhubarb off the farm over the years. J & D > That’s something to look forward to!